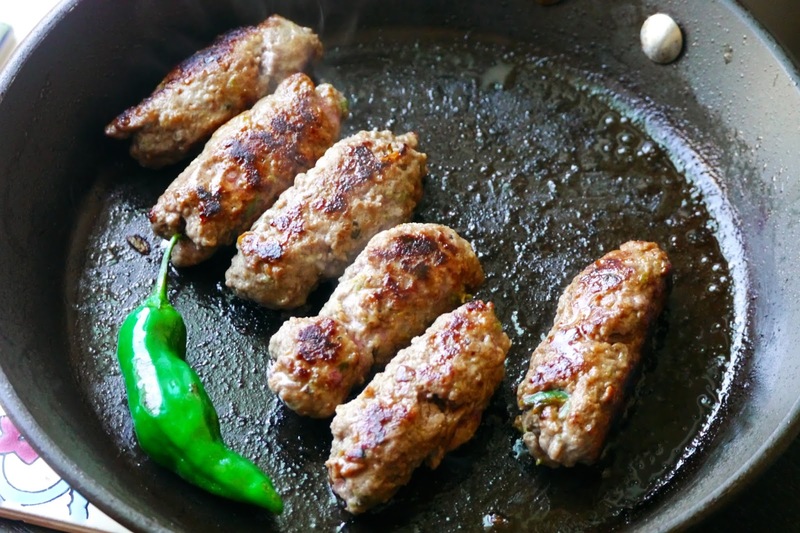 "Kefta Mkaouara" is a Moroccan style dish which resembles Shakshuka with the added benefit of also having meatballs. Presented here is a solid brunch dish inspired by that dish. 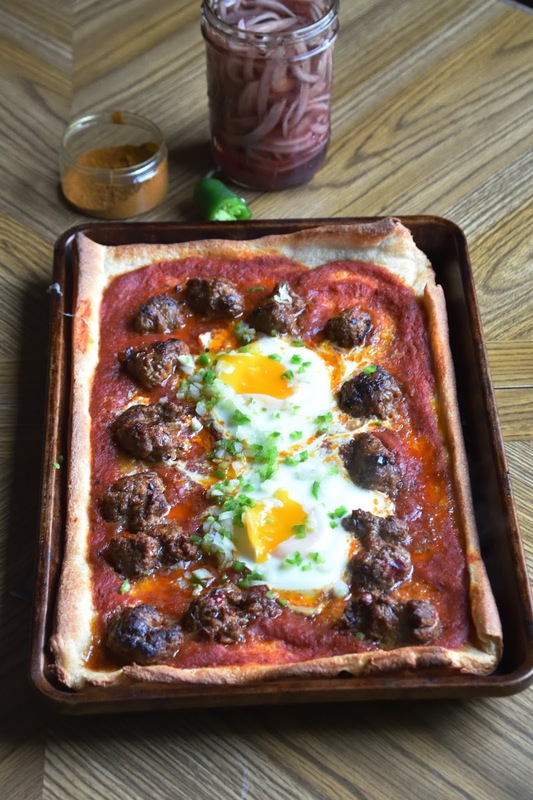 The original dish is baked on a flatbread for the added benefit of its resemblance to pizza. A solid brunch dish that you will make over and over. Following the instruction in the provided link, cure the meat the night before. Next day, brown the surface of patties in a hot pan, keeping their centers very raw (the cooking is to be finished in the oven). Make the sauce by mixing the caramelized onions, Ras el hanout, and tomato puree. Cook until the sauce is thick. Spread the dough (NY thin style) to an individual size pie. 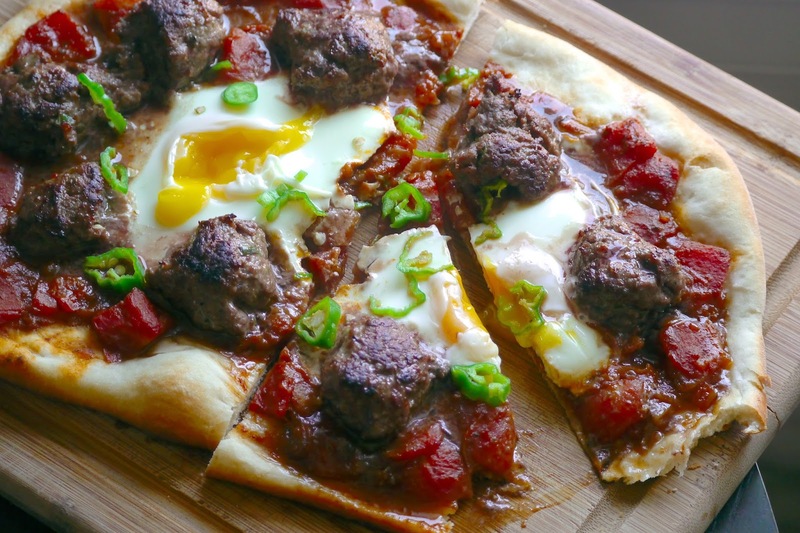 Smear the dough with the sauce, followed by slices of sausages, finished by two gently nested cracked eggs. Bake in a preheated 500 F (260 C) oven for 5 to 10 minutes. If you want runny yolks, add them in the last 5 minutes. Sprinkle with chopped chili and onion and serve.